If you would like to get to know a different and alternative side of Vienna - you should book an Urban Art Guided Tour with us! We will show you some of the most outstanding street art pieces around the city, and you will get a chance to dive into the vibrant areas of the 6th and 7th districts of Vienna. 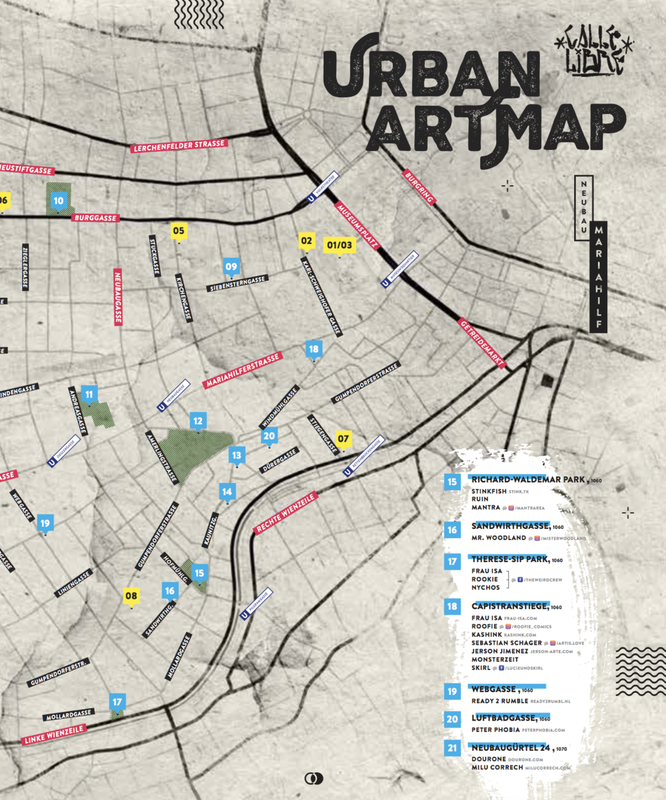 Every participant will receive a printed Urban Art City Map to give you a chance to discover even more on your own! The tour costs 10€! Sign up for one of our scheduled Urban Art Guided Tours by filling out the form below! For special group requests or general info, drop us a line! Sorry, there are currently no Urban Art Tour dates available! Only German for now, but the English version will follow soon! German version only - English version coming soon!